Baltimore's embattled mayor began an indefinite hiatus on Monday, citing health reasons for her leave on the same day the state's governor called for a probe into sales of her self-published books to a health provider. Mayor Catherine Pugh has been battling pneumonia for a few weeks and her physicians have advised her to focus on recuperating, her office said in a statement. 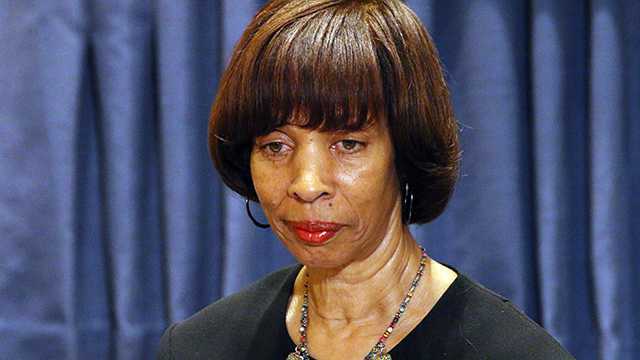 "At this time, with the mayor's health deteriorating, she feels as though she is unable to fulfill her obligations as mayor of Baltimore City," the statement from Pugh's office said. "To that end, Mayor Pugh will be taking an indefinite leave of absence to recuperate from this serious illness." Pugh, who was elected mayor in 2016, has been under fire since the Baltimore Sun reported last month the University of Maryland Medical System paid her $500,000 between 2012 and 2018 to buy copies of her self-published children's book series, "Healthy Holly." The series promotes healthy choices for children, such as exercise and eating vegetables. Pugh, a Democrat, was serving on the board of the medical system when she received payments for the books. She was among nine members of the board with some form of business arrangement with the medical system, the newspaper reported. Read more: Baltimore mayor, under fire over book sales, takes leave for health.